The journey to a better mattress starts here: in the factory. 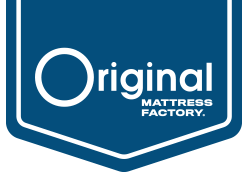 Come behind the scenes of our local factory to see how we hand build each one of our mattresses and box springs using the highest-quality materials. From raw materials to finished product, each mattress is thoughtfully made with you in mind. Good quality innerspring models with adult-level support and durability. Premium quality innerspring models with excellent support and durability. Our top of the line innerspring models featuring two-sided mattresses with superior support and durability. Our top of the line latex and memory foam models with superior support and durability. Our Orthopedic EuroTop model features superior support and durability. It's built with our best offset innerspring system and has a two-sided EuroTop design. "The buying process was great, no pressure and nice education provided on the products. We will be back again!!" "Salesperson was not pushy, but offered a wealth of information to help us make our decision. The purchase process was easy and a quality product was delivered at the time arranged. We are sleeping well these days and hopefully for many years to come." "Just outstanding from the sale to delivery. Great product." "Awesome product!! Awesome demonstration at the store. No Pressure. Product sells itself." "Our experience was great from purchasing to delivery. Highly recommend them for an awesome night of sleep." Better Sleep and Better Mornings! "The mattress is amazing! Our national brand mattress was well past it's prime. My husband and I felt old before our time every morning. We would have aches and pains when getting out of bed. We would still be tired. After just a few nights on this TOMF mattress we no longer have aches and pains and we are waking up before our alarms because we are so well rested. Plus, the buying experience was very low pressure and informative. We will never buy a mattress elsewhere." "Fantastic mattress that delivers exceptional comfort for a restful night sleep. Sounds like a commercial BUT it’s true! Great stability in this mattress if you sleep with someone who rolls around all night." "My sleep quality has improved with my new mattress and box spring. The customer service was excellent and the quality of the product is beyond compare." "It is very well made, comfortable beyond expectations. Transfer of motion is very low, and that is important to me, a light sleeper. Excellent customer service!" "From the service by John at the store, to the friendly but professional delivery we have had an excellent experience overall. The only problem with the mattress is that we don't want to get out of it! Seriously we love it." 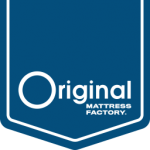 "We will forever buy bedding from the Original Mattress Factory. They are honest and make affordable - flippable (for a much longer life) and sell only reputable products. You can trust them. No pressure sales." "The firmness of this mattress is great for my bad back. Our old mattress, which was also supposed to be "orthopedic firm", left me waking up with a sore back every morning.  My wife said our new OMF mattress was too firm for her, so we purchased a pillow top mattress pad which solved the problem for her while still keeping the firmness for me. Also love the fact that it's two-sided, a feature our previous, as well as most new mattresses, don't have. I'm sure that feature will result in a longer life mattress." "So far after 2 months it's been wonderful sleeping on the new mattress. Night and day to the other mattress I had been using. The mattress is firm but soft at the same time and I'm sleeping like a teddy bear. So far, it's everything I've read and seen reviews on. Will definitely buy again if I need another!" "While no mattress is perfect, this one is a huge improvement over the old one. The buying experience was pleasant too, easy and painless." "The overall experience was pleasant. Everyone was friendly, not pushy yet helpful. My husband is very pleased with the mattress as it's perfect for him. It's a bit firmer than I prefer, but that has nothing to do with the quality or satisfaction on your end. We'd recommend your company to others and pricing was good too." "Good. Definitely get a better night’s sleep now."